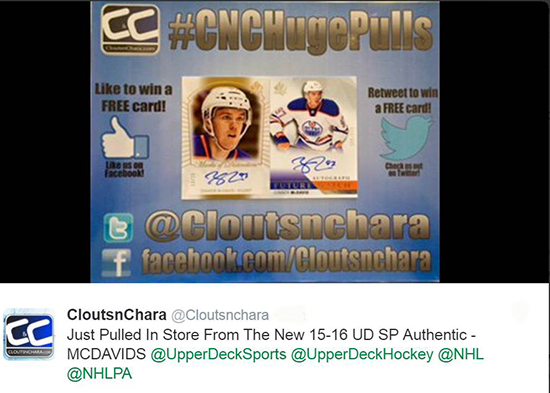 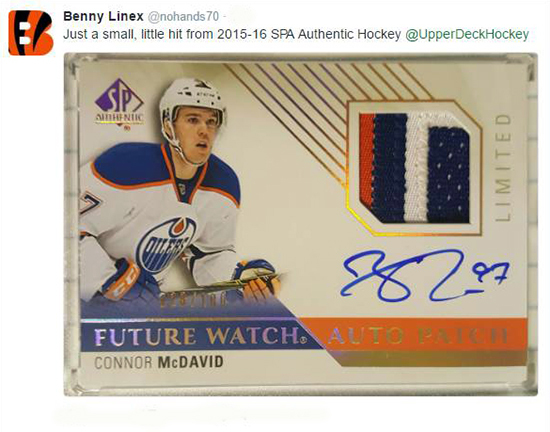 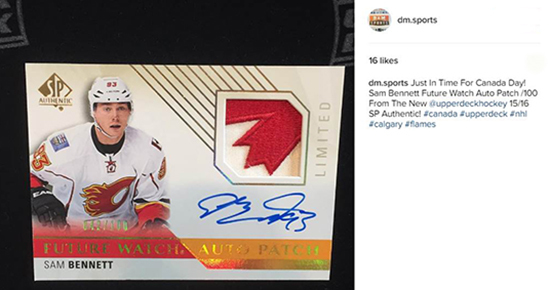 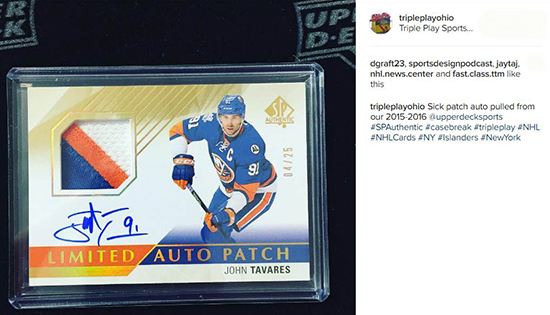 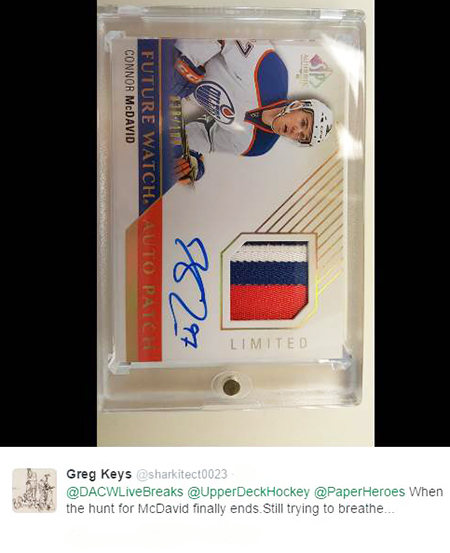 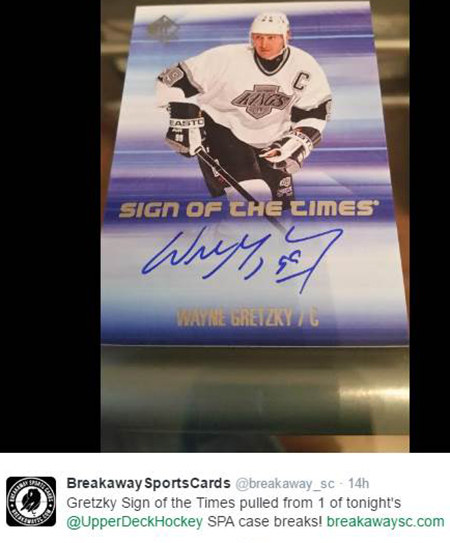 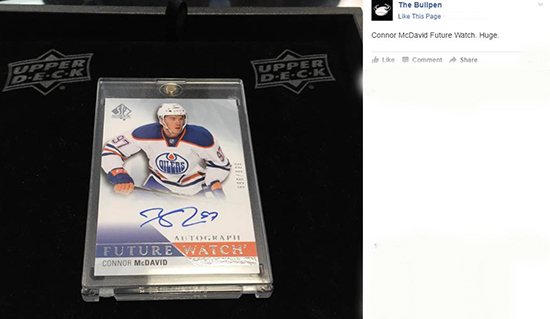 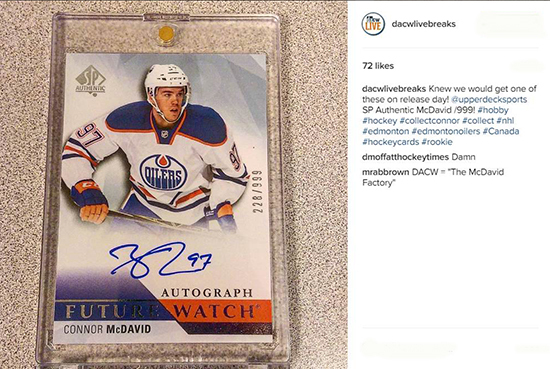 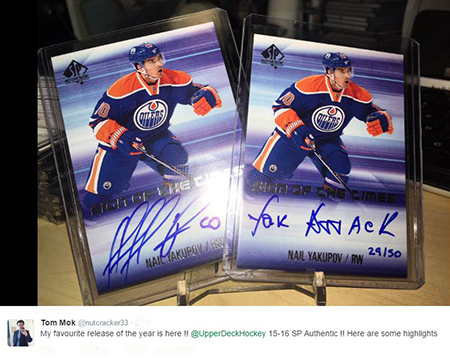 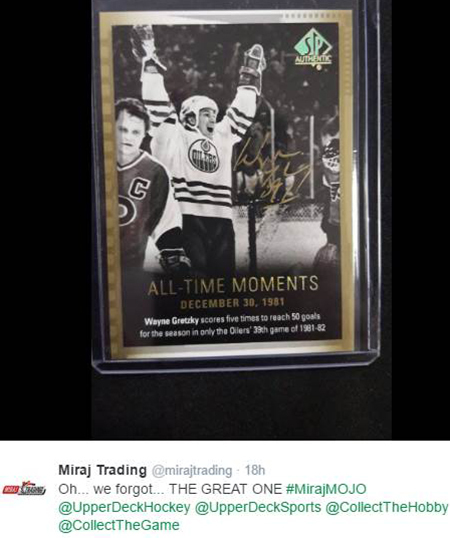 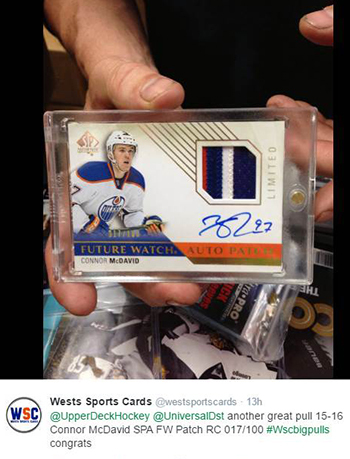 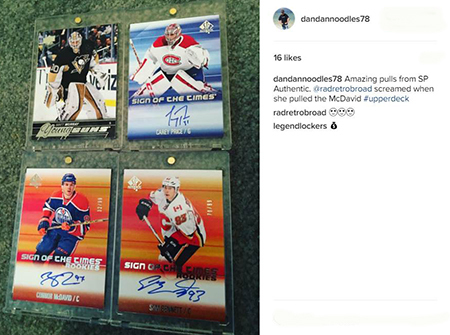 Upper Deck’s SP Authentic NHL® Release is Tops in the Shops with Autographs of McDavid, Gretzky & More! 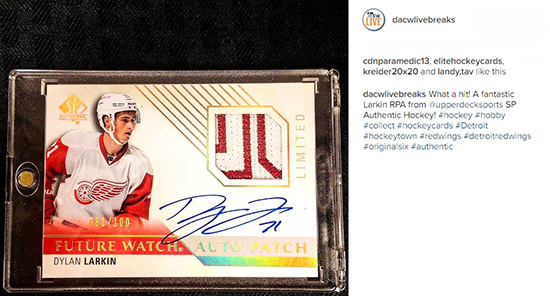 SP Authentic NHL® is a release that collectors look forward to every year, but because of the incredible rookie class this season, fans have been more than fired up to get their hands on the product. 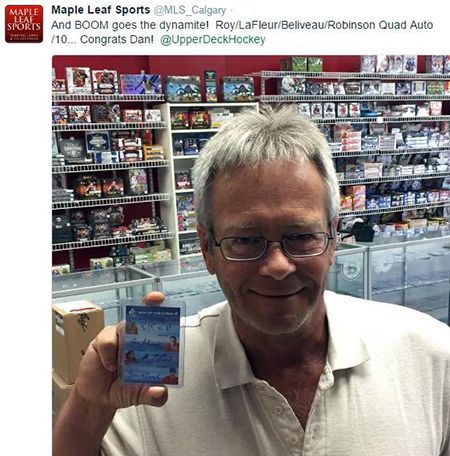 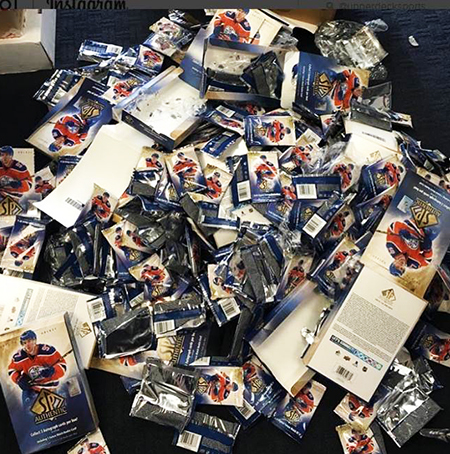 This was the scene at many hobby shops across North America shortly after 2015-16 SP Authentic NHL® hit the shelves. 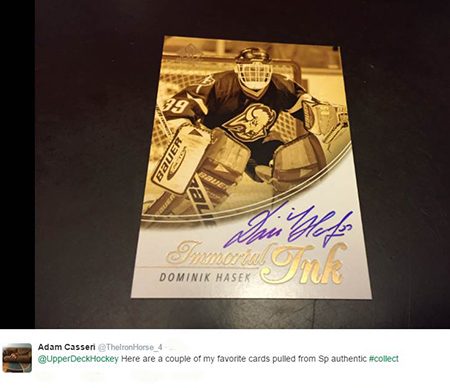 The product boasts ink-redible with unbelievable content, but don’t take our word for it. 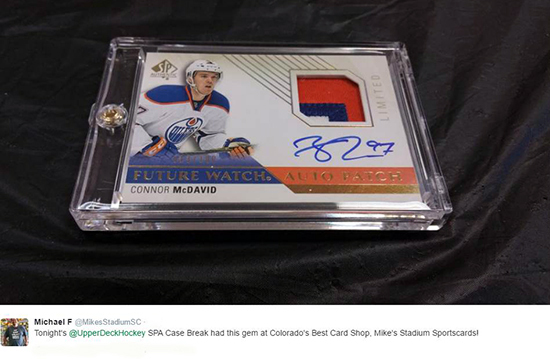 Check out some of the chatter from Facebook, Twitter and Instagram as fans experienced SP Authentic NHL® for themselves. 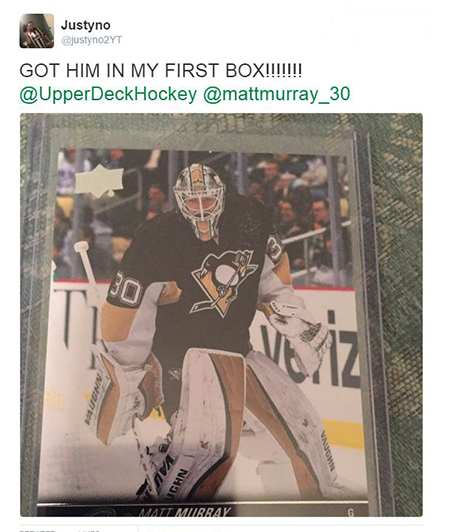 Fans were more than fired up to get the first Young Guns rookie card of Matt Murray! 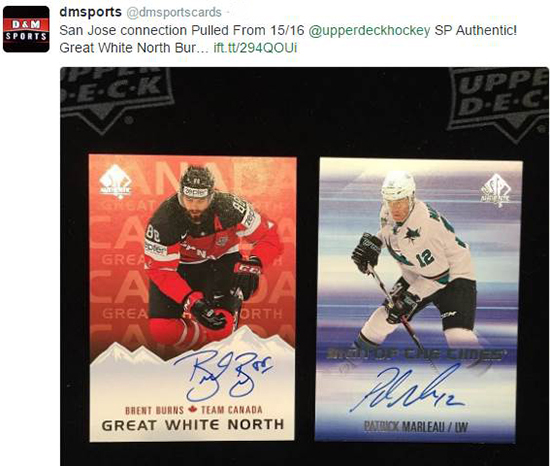 Some boxes will contain autograph redemption cards for athletes who were not able to sign in time. 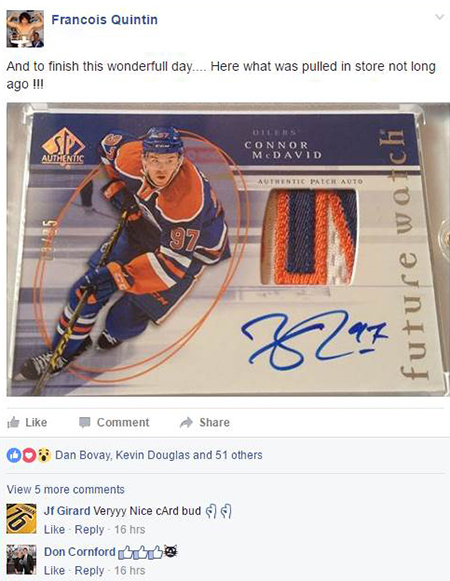 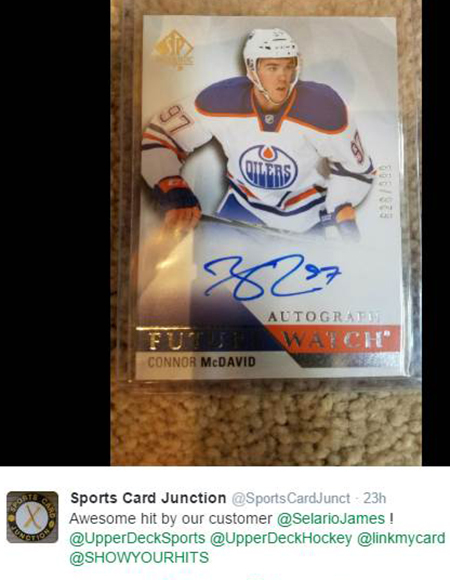 It is important to note that Future Watch autograph redemption cards incorrectly state the cards are numbered to 949, when in fact they will be numbered to 999 as they have for the last several years and as they are with live autographs in this year’s set. 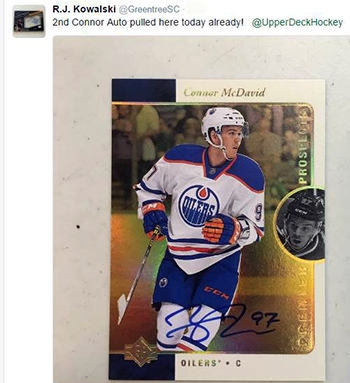 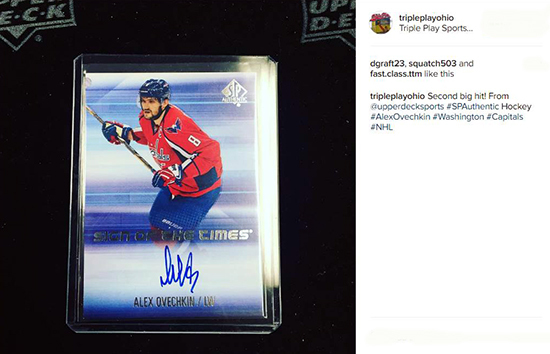 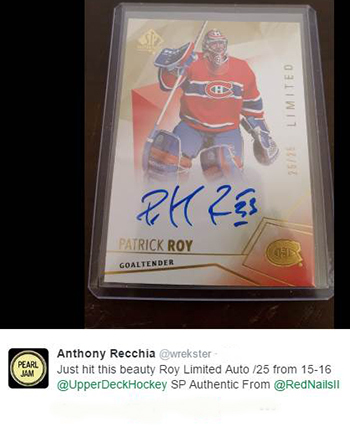 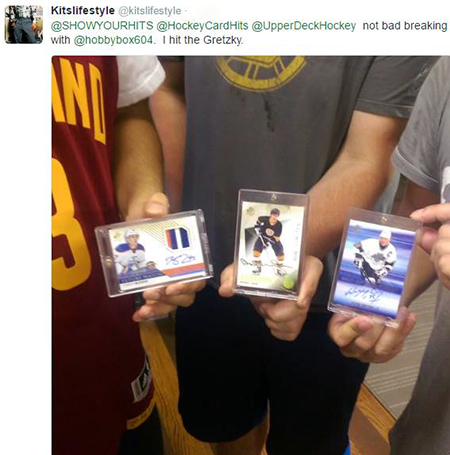 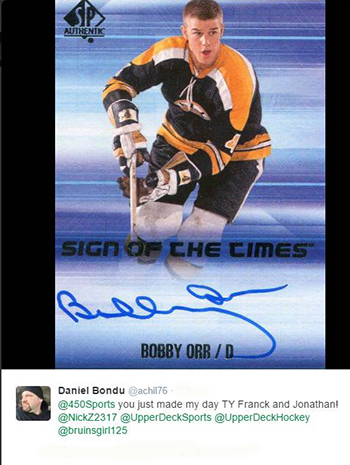 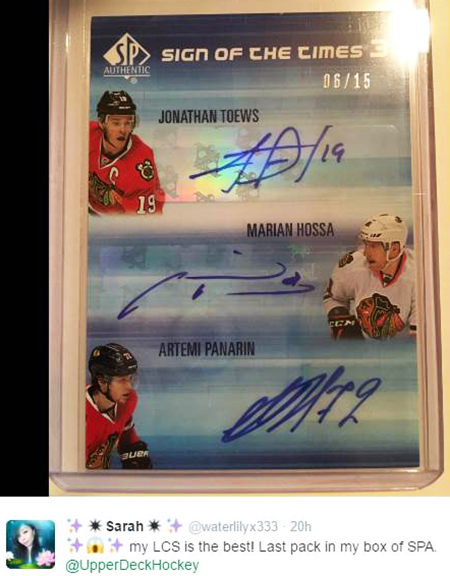 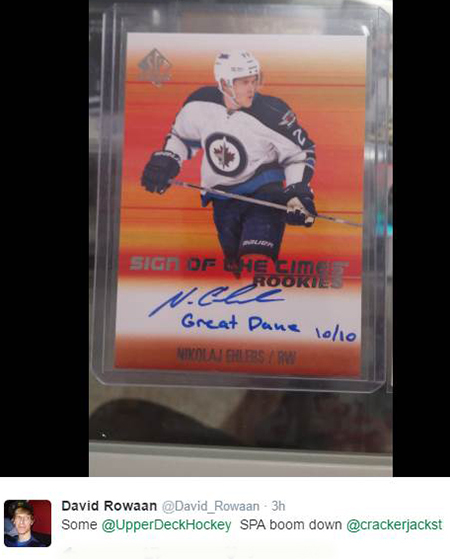 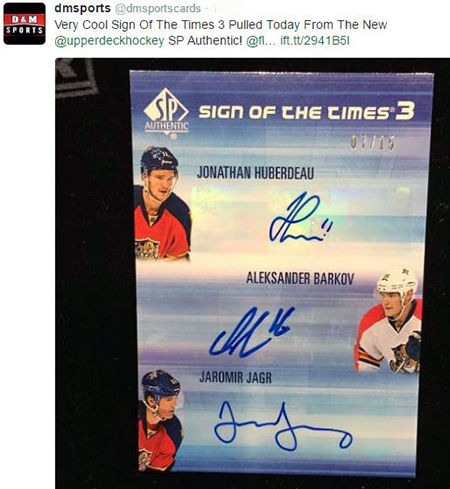 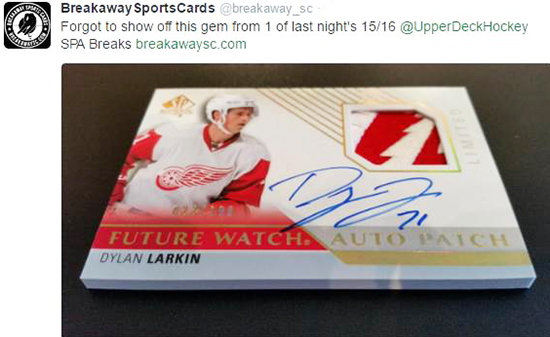 Upper Deck also likes to surprise collectors with unannounced content and SP Authentic delivers that in spades! 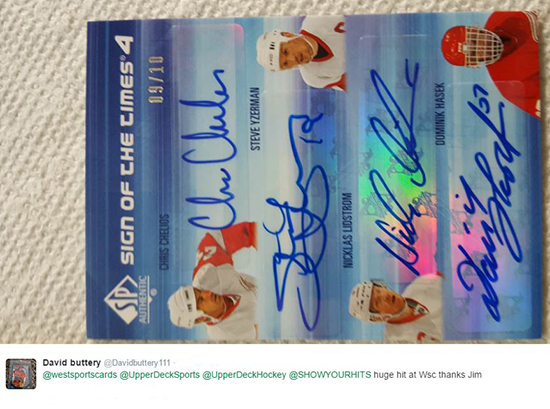 For now however, our lips are sealed on these fun finds!